It hurts our sentiments when someone questions the 'ostentatious tribute' to Sardar Patel, but not when an Ambedkar statue is vandalised. It wouldn't be an exaggeration to say that hypocrisy, like haemoglobin, runs in our blood. From our everyday existence to the more complex socio-cultural and political lives, we, Indians, are at our hypocritical best. We make promises that we don’t intend to fulfil. We worship our goddesses but that doesn’t neccessarily mean we respect women. At least, the increasing number of crimes against women doesn’t suggest so. Our Rama and Krishna are worshipped in their 'bal' (infant) avatars. But we don't necessarily care about our starving children who are suffering a fate far worse than those in the most backward countries. We claim to be a civilisation that has always believed in the idea of integrated humanism and Vasudhaiva Kutumbakam (the world is one family). Yet caste, class and religion continue to divide Indians. India has a long history of hypocrisy. For instance, it's not difficult to spot idols of Mahatma Gandhi and BR Ambedkar across various corners of the country. But we don't necessarily believe in their ideals. Although Gandhi got a relatively easy entry, it wasn't the same for Ambedkar. In fact, Ambedkar statues happen to be often under attack by upper caste Indians during anti-reservation and anti-Dalit protests. It took decades to install the idol of Bhagat Singh in Parliament House. 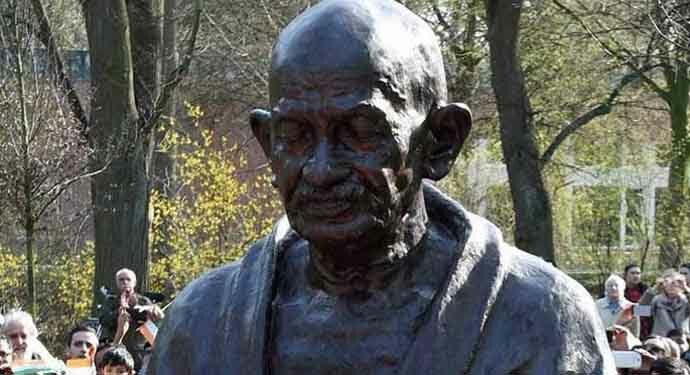 One of the most-loved freedom fighters was apparently denied a 'befitting' tribute for decades because he had once attacked the Parliament during British raj. It is not surprising that 'upper caste' leaders never had to suffer the same fate as their Dalit/backward counterparts even in today’s India. When nobody cares much about their existence, it's only natural that nobody feels the need to remember their contributions as well. The Congress party too made it a point to remember only those who belonged to the party or the 'first family'. There was very little space for leaders from Dalit/minority/marginalised groups when it came to dedicating statues to honour them. It was only after the rise of the BSP and Dalit politics that Indians got to see statues of Dalit-Bahujan icons. Mayawati, after her dramatic rise to the chief minister's chair in Uttar Pradesh, installed statues of Buddha, Jyotiba Phule, Shahuji Maharaj, Jhalkari Bai, Uda Devi, BR Ambedkar and Kanshiram. While there is no denying that some of those statues included her own idols, she also built some of the best school/college campuses, elephant-themed parks and other public places with Buddhist architectural elements — facades and railings inspired by the Stupa of Sanchi. These huge parks, museums and walkways are some of the most beautiful works of architecture in present-day Lucknow. Indeed, it was for the first time in Indian history that Dalits icons were immortalised in statues, parks and fort-like structures. But not everyone appreciated her efforts or were ready to shower praises on her for honouring the work of Dalit-Bahujan icons. The mainstream media too was not very kind. It rather 'exposed' her for wasting the taxpayers’ money. Mayawati had to face severe criticism for being a "megalomaniac" and "ignoring the real problems" of the public. Interestingly, her opponents still don't miss the opportunity to take a dig at her for those larger-than-life statues commissioned by Mayawati. 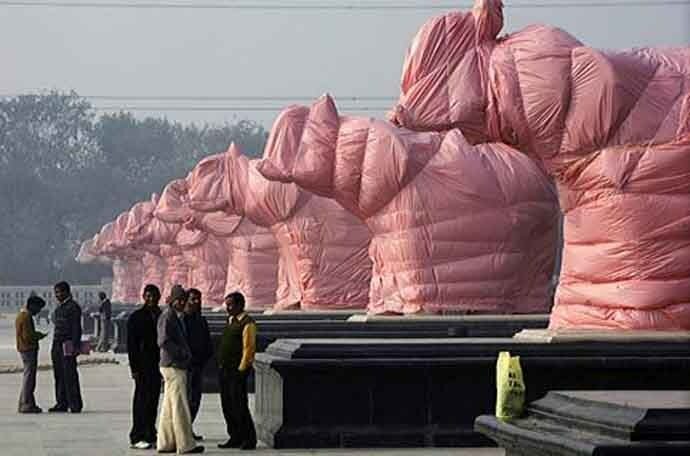 Who can forget those statues of elephant (which also happens to the BSP symbol) covered in plastic sheets following an order by the Election Commission ahead of the 2012 Assembly elections in Uttar Pradesh? The poll panel was circumspect that the statues could influence voters. It is unfortunate for Dalit politics that the woman, who was once praised for good governance and her development contributions in UP, is now reduced to someone who "only built parks and statues" to fulfil her ambitions. It's not just Mayawati and her statues. It's strange how despite so many multi-crore scams coming to the fore, it's only Lalu Yadav and the fodder scam that became symbolic of bureaucratic corruption. So, it's not surprising that some linked it to his caste, class and social status (Lalu Yadav's dehati demeanour). More so, when leaders belonging to 'upper caste' never suffered the same fate and hatred for similar crimes as a Lalu Yadav or a Mayawati. However, the fate of an OBC Prime Minister turned out to be different. It is not difficult to see the reason — the PM 'represents' a right-wing Hindu nationalist party. He doesn't 'represent' OBCs. And perhaps this is why his obsession for icons and statues is not seen in the same light as that of Mayawati's. PM Modi loves making records. The latest record in his list is the tallest statue in the world. 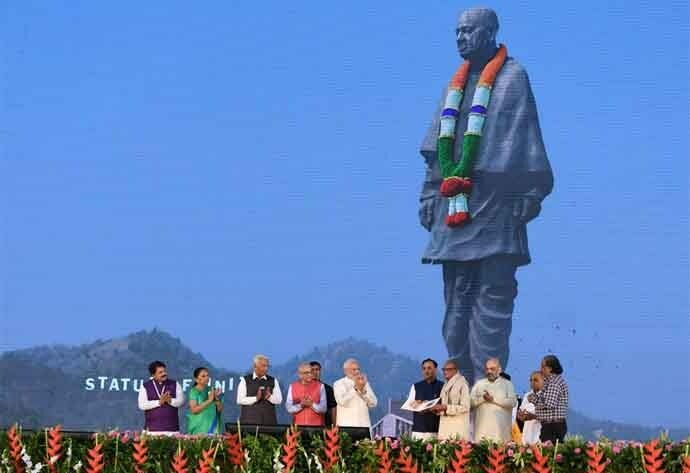 On Wednesday, PM Modi inaugurated a 600-foot-statue of Sardar Patel in Gujarat. There is another one coming soon — Chhatrapati Shivaji Maharaj statue in the Arabian Sea. This one will be taller than the Statue of Unity. The appropriation of Sardar Patel, a leader known for his loyalty to Mahatma Gandhi and the Congress party, helps Modi and BJP’s agenda to gain ground among the Patel community. The same is true for Shivaji’s statue in Maharashtra, where 32 per cent, Maratha voters form the biggest chunk of the state's vote bank. Patel’s statue is one of the most expensive sculptures of the world. The upcoming Shivaji statue is expected to cost more than Rs 3,600 crore. Suddenly, the same media and critics who slammed Mayawati for splurging public money on statues are now singing paeans of PM Modi for honouring national heroes with befitting tributes. It's hardly anyone's guess that while TV channels went overboard broadcasting the 'Statue of Unity' event live for hours, other headlines of public interest found little space or prominence — the Supreme Court's hearing on Rafale, the spat between RBI and Modi government, the policemen sentenced to life in the Hashimpura massacre case, the crisis in Kashmir, or a nine-day-old baby dying of rat bites in Bihar ICU, the Kerala CM inaugurating a housing complex for 192 fishermen families in Thiruvananthapuram. Many such news got buried beneath the chorus over Patel’s statue. This is not to say that Sardar Patel was not a tall leader, or we should forget his legacy and contributions. But it's easier to laugh at and dismiss a Mayawati. Not many would dare to question PM Modi. Those who do, are careful enough not to offend the 'collective public sentiment'. 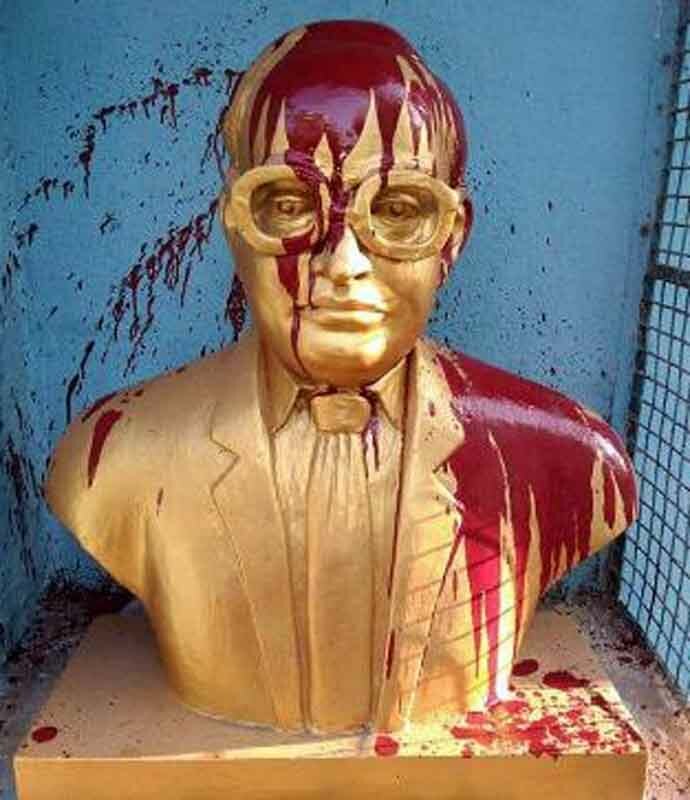 Why does it hurt our sentiments when someone questions the futility of the ostentatious 'tribute' to Sardar Patel, but not when an Ambedkar statue is vandalised? Patel united the rajas and rajwadas and helped government build a new, united and democratic India. Today we have named his idol, the statue of unity. However, unity is replaced by self-vigilant, vandal, fearful and feudal, fundamentalist social atmosphere. We are celebrating the world’s tallest statue in our courtyard, however, we stand much smaller than before; our values are evaporating, morality is shaken, shamelessness is evident and honesty is a dead cow. We love worshiping and praising our past and we are doing it once again. Indeed, if anything stands tallest amid us — it is our hypocrisy.